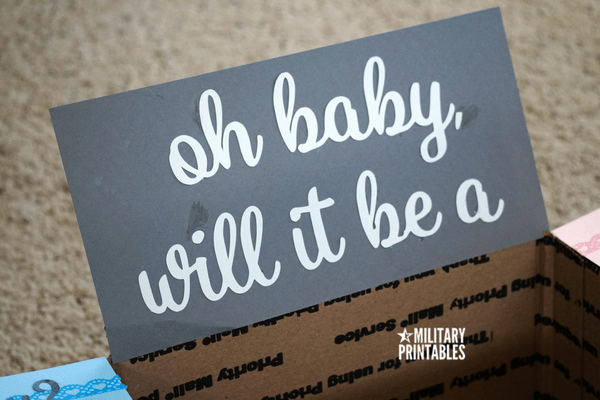 This care package was made a while ago for a dear friend who was expecting a baby. She found out that she and her husband were expecting a girl, however, he was deployed when she found she was pregnant. 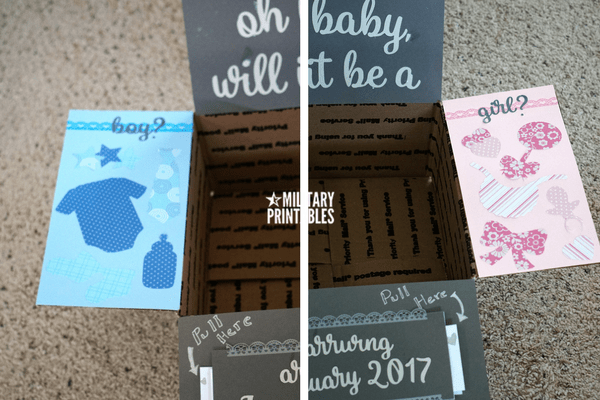 She wanted to reveal the gender to him in a special way, so she asked me to come up with a care package idea for her. So I came up with a slider idea. I’ve seen them work on greeting cards, now it was time to make it work on a care package flap. 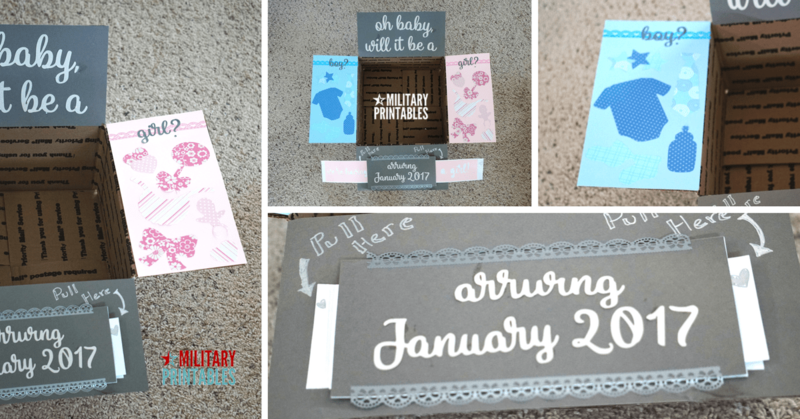 I used my silhouette cameo to cut out and decorate the words and shapes on the flaps. The slider was the hardest part. You will need scissors, cardstock, a zip loc bag, and strong double sided tape such as scor tape. Tape the strip around the cardstock with strong double tape adhesive so now it’s a ring around your strip of cardstock. You now have your slide mechanism. Repeat on the other side, so when you pull your two cover pieces at the same time, they slide out. Pull out your cover pieces and decorate them with what you want to be seen when it is revealed. Add a ‘top’ top piece to make everything pretty and so there can be a channel where your sliding mechanism can function. Fingers cross that it works when her husband opens it. ***Update, it did!! One side got a little stuck but he was able to wriggle it through gently. Here are the supplies I used. Affiliate links are used at no cost to you. Hi! 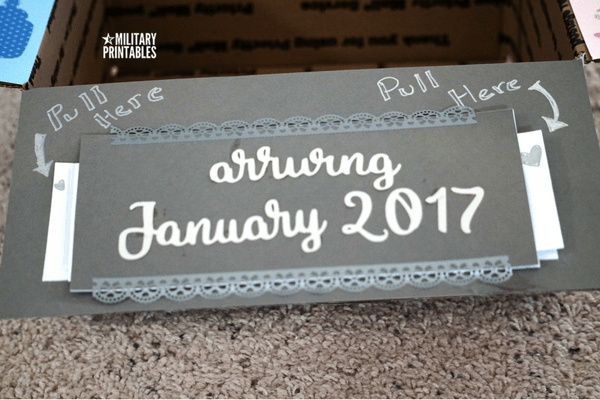 This is a really adorable idea, and I’d love to make something similar for my husband who is currently deployed. I’ve tried your instructions a couple of times but I’m not doing something correctly, and your video is a little too quick for me to figure out 🙁 Any chance you can post a slower video of just making the slider? Thought it wouldn’t hurt to ask, thank you!